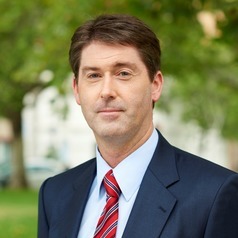 Dr Tim O'Shannassy is a Senior Lecturer at RMIT University in the Graduate School of Business and Law. His qualifications include a Bachelor of Commerce and Postgraduate Diploma in Economics from University of Melbourne. Tim then completed MBA and PhD degrees at Monash University. He is a Fellow of the Australian Institute of Management. Tim is managing author of the book Strategic Management: The Challenge of Creating Value (Routledge Publishing). He has been Associate Editor for Journal of Management & Organization since 2012 and serves on the Editorial Board of Journal of Strategy and Management. In 2018 Tim won the Associate Editor Excellence Award from Journal of Management & Organization and Cambridge University Press. His research and consulting interests are strategy process, strategic marketing and corporate governance. Tim has published four book chapters, 22 journal articles (including 10 peer reviewed SCIMago Quartile 1 publications) and has 18 conference papers published in proceedings for conferences including British Academy of Management and Australian and New Zealand Academy of Management. His work appears in Journal of Business Research, Journal of Management & Organization, Journal of Strategic Marketing, Research in Ethical Issues in Organisations, Singapore Management Review and Journal of Strategy and Management. Tim coordinates and teaches strategy courses in RMIT University (RMIT) MBA programs, was RMIT MBA Programs Director from 2015 to 2016, and served on the RMIT Academic Board from 2015 to 2017. He has directed and delivered custom Executive MBA Programs for Ford Motor Company and Mandarin Oriental Hotel Group, and has consulted to stock exchange listed companies including Melbourne IT Limited and Compumedics Limited. Tim contributes to the community and sport through his role as President of Dendy Park Tennis Club from 2011 to the present and regularly organises Cancer Council of Victoria Charity Tennis Days at the Club. Tim has represented Dendy Park Tennis Club in Tennis Victoria Grade 1 pennant and is a veteran of 29 Tennis Victoria pennant tennis seasons. Journal of Management & Organization, Board and CEO practice in modern strategy-making: How is strategy developed, who is the boss and in what circumstances?